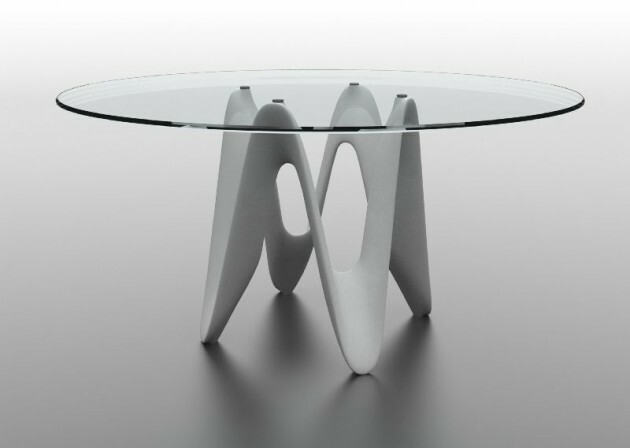 Italian designer Gianluigi Landoni has created the Lambda Table for the manufacturer Sovet. The table has been inspired by the dynamism of a moving element, like the ribbon of a gymnast that vaults in the air designing natural and soft shapes. The base is made in Cristalplant, a hard, smooth and solid material, which is also very pleasant to the touch and eco-friendly. 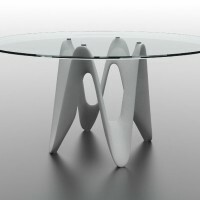 Its sinuous shape, synthesis of personality and elegance, perfectly matches the lightness of the glass top.